The KwaZulu-Natal education department has started to roll out free sanitary towels for girls in schools. This is to reduce absenteeism – as well as drop-out rates – of girls when they are menstruating. 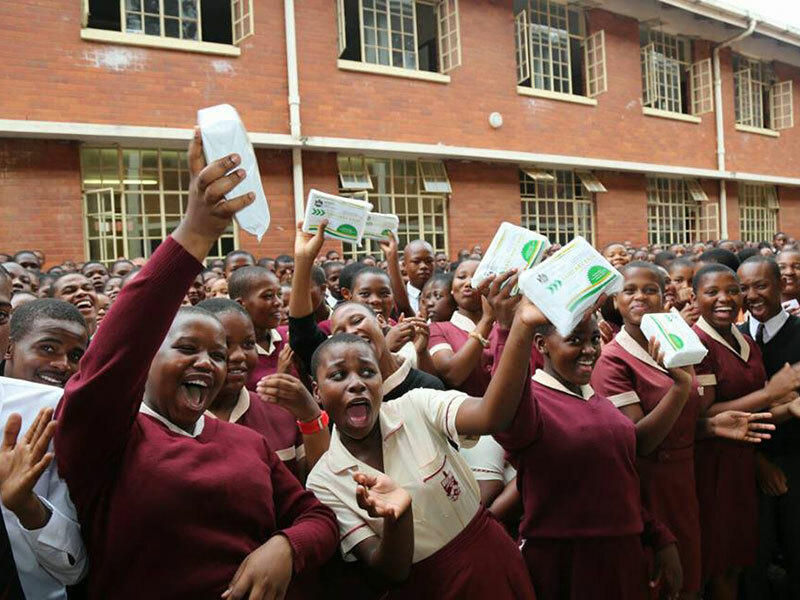 The KwaZulu-Natal education department has begun to distribute free sanitary pads to schools in the province to curb the absenteeism and drop-out rate of girls. Education MEC Mthandeni Dlungwana visited Lamontville High School on 3 February 2017 to hand out feminine hygiene products. “As the Department of Education in KwaZulu-Natal we want to ensure that girl learners in KwaZulu-Natal will not have to miss school simply because they are menstruating,” said Dlungwana. Eliminate through informing the myths, taboos and misinformation that people in certain communities have about girls during menstruation. A survey published by the United Nations Children’s Fund (Unicef) in 2013 shows that girls frequently stay away from school when they are menstruating. The organisation interviewed 99 girls between the ages of 13 and 20 in three rural high schools in eThekwini Municipality in KwaZulu-Natal. “One third of 99 respondents reported missing school during menstruation, which was typically one day during a menstruation period,” the organisation said. “Fear of having an accident and/or showing blood during school was the primary reason for missing school, followed by physical pain and discomfort. A circular on the department’s website indicated that sanitary pads would be given to “indigent girl learners quintile 1-4 schools in grade 4-12”. The school’s principal will be responsible for the distribution in each school. On social media, the move has been warmly welcomed. “We salute you KZN Department of Education, job well done,” wrote Sebe Mzolo on the department’s Facebook page. @TimesLIVE best news @kzngov ? ?